Off limits to U.S. citizens since October of 1960, the Caribbean island of Cuba seems to be frozen in time with classic American cars lining the streets. In 1919 the first Cuban flight school opened and for decades Havana to Miami was a popular flight route for general aviators. Leading up to the embargo a mass exodus of private aircraft out of Cuba began, leaving once active grass strips to become overgrown and forgotten. 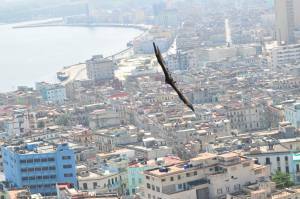 It is now 2015 and the restrictions on travel to Cuba are becoming less restrictive. Will general aviation once again fill the skies above Havana? Is Cuba general aviation friendly? As with other out-of-country travel, aircraft must leave and enter the United States and Cuba through Airports of Entry (AOE). The invisible border in the air between the U.S and Cuba is a serious one. In 1996 the Cuban Air Force shot down two Cessna Skymasters that were releasing leaflets, killing four individuals. Tensions have eased, however, traveling international boundaries should never be treated lightly. Aircraft wishing to travel to Cuba are granted temporary sojourn licenses on a case-by-case basis. Companies such as Caribbean Flying Adventures are offering guided tours to the Caribbean, including Cuba, helping you through all the rules and regulations from the planning period through the actual flight. Does your insurance cover travel to Cuba? The territory portion of your aircraft insurance policy governs where your aircraft is covered to fly. With embargo restrictions being eased, several insurance carriers are extending coverage to the island of Cuba. So far, these trips are approved on a case-by-case basis. The insurance company will ask the reason of the visit (must fit within one of the 12 categories listed previously), the dates, length and route of the trip, as well as who will be joining the pilot. Sometimes there may be an additional fee and/or higher deductibles placed for that trip. As regulations and US/Cuban relations continue to change it is important to remain up to date on all travel requirements. As pilots themselves, the agents at Aviation Insurance Resources (AIR) always stay up-to-date on matters affecting their favorite mode of travel as well as the insurance implications. To learn more about your insurance policy and if you may be able to visit Cuba, contact a knowledgeable aviation insurance expert at 301-682-6200. For more information on AIR visit: www.AIR-PROS.com.